Word has reached our group with the passing of Delta Golden Wings member retired Delta pilot Captain Jack Gebhardt Blaz, nearing his 81st birthday. Captain Blaz joined Delta Air Lines 12-17-1962 and retired with Delta, based 031/DFW. He is survived by his wife Ann, their children and grandchildren plus many dear friends and colleagues. To honor the life of Captain Blaz, all are invited to attend a reception this Friday, December 15th in Dallas...please see information below. Friday, Dec 15, 2017 at the Park City Club from 3:00 pm to 5:00 pm. "Miss me a little, but don't mourn; I had a great trip"
Born December 15, 1936 into the Manweiler family in Hoisington, Kansas, adopted into the Blaz family. A resident of Dallas Texas since 1963 he made his last "move" on 12 December 2017. He is survived by his wife Ann; daughter Corey Catherine "Katie" Ahearn; son in law Mike Ahearn, grandchildren Madeline and Graham Douglas; brother Roland Rush Blaz, nephew David Blaz and family; nephew Christopher Blaz his wife Kelly and daughter Chloe; stepson Bert Schwab his wife Jill and their daughters Allie, Mattie and Sophie; stepdaughter Stephanie Kelln and her children Becky and Carl. Jack was preceded in death by his parents Berk and Elaine Tindall Blaz and his beloved son Douglas Talmage Blaz. 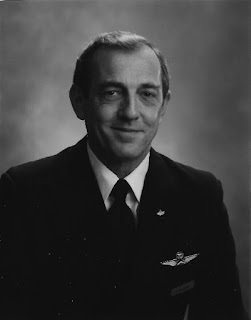 Jack was a career aviator with five years of service in the USAF followed by flying cargo in Australia, corporate flying, and then a long career as an airline pilot for Delta Air Lines. During his 34 years with Delta, 27 as captain, he flew DC-6, DC-7, C-46, CV-440, DC-9, DC-8, L-100, B-727, B-757 and L-1011, retiring off the Honolulu run. Jack retired at age 60, Jan 1, 1997. Jack was active for many years in the Air Line Pilots Association serving as a member of the ALPA Board of Directors, contract negotiator , seniority arbitrator, grievance arbitrator, as well as other elected and appointed positions. He served on the St. Mark's School of Texas Board of Trustees, twice was Episcopal School of Dallas annual fund chairman and was for many years a Hockaday School for Girls annual fund chairman, and a long time member of the Preston Hollow Methodist Church where he was a trustee and served on the administrative council. Jack was a member of the Sons of the American Revolution through the wartime military service of his ancestor Obadiah Tindall, a soldier in the Virginia Militia. He was also a member of the American Legion and the National Rifle Association. In 1995 he was appointed by then Governor George Bush to a six year term on the Texas Health Care Information Council and in 2002 was appointed by Governor Rick Perry to serve for four years on the One Call Board of Texas. None of Jack's positions or activities ever meant as much to him as the love and pride he felt for his two children Doug and Katie and his wife Ann. A reception in his honor will be held at the Park City Club on Friday, December 15 from 3 to 5 pm. Jack's instructions specifically prohibit any lengthy or serious mourning...in fact he approved of medium grade revelry as being entirely appropriate. In lieu of flowers, please send donations in Jack's memory to the Episcopal School of Dallas, 4100 Merrell Road, Dallas Texas 75229 or other worthy institutions of your choice. I want to notify the Delta pilots of the passing of Jack Blaz today from a massive stroke. Private services are planned in the future. No one did more for the Delta Pilots than Jack Blaz.